CHARLOTTE, N.C. -- Duke Energy today announced it will construct a 39-floor office tower to house employees currently scattered among several aging Uptown Charlotte buildings. 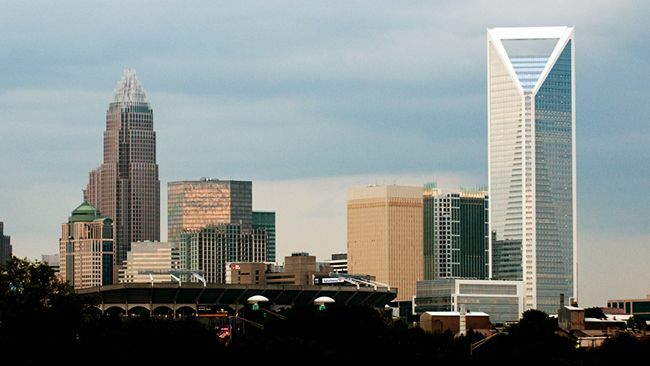 The move will reduce the company's overall footprint in the Uptown Charlotte area by approximately 25 percent while putting several prime Charlotte locations on the market. By consolidating office space into a new building, the company will avoid spending millions of dollars annually to manage and maintain several inefficient and aging facilities that are more than 40 years old. In addition to constructing the new tower, the company plans to sell its 526 Church Street and 401 College Street facilities and exit its lease at 400 South Tryon Street. The plan will consolidate the space the company occupies in Uptown Charlotte over the next several years from four buildings to two buildings with the goal of reducing its footprint from 2 million square feet to 1.5 million square feet. "These actions will allow us to operate our business more efficiently, enhance employee productivity and better serve our customers and communities," said Melissa Anderson, Duke Energy's executive vice president, administration and chief human resources officer. "It will also free up premium real estate in Uptown Charlotte – currently in high demand – for other purposes." The plan continues the company's efforts to best house its approximately 6,000 employees and contractors in Charlotte to continue delivering affordable, reliable and increasingly clean energy, as well as customer-focused products and services. The company's corporate headquarters will remain at the current Duke Energy Center on Tryon Street. Duke Energy plans to utilize a sale-leaseback financing option to construct the office tower. Upon completion, Duke Energy will seek a buyer to purchase the building and sign a long-term lease with the new owner. Approximately 1,000 craftsman and trade workers will be employed during the three-year construction period, providing an economic boost to Charlotte and the surrounding areas. The office tower will be located on South Tryon Street on what's currently a surface parking lot lying between St. Peter's Catholic Church and The Harvey B. Gantt Center. The Duke-owned site is located directly across from Duke Energy's headquarters building, as well as connecting to the company's Innovation Center at Optimist Hall office located along the LYNX Blue Line. Once completed, approximately 25,000 square feet of new retail space will be available, including a walkway to connect the building lobby to Tryon and College Streets where additional retail space will reside. Renderings of the new building are expected to be available in Q1 2019. Construction will be a three-year process with Duke Energy taking occupancy in 2022. Duke Energy Center (DEC), 550 South Tryon St.
39-floor office tower across from the Duke Energy Center at the 500 block of South Tryon Street.